This fast growing cultivar is a seedling of H. 'Breeder's Choice' which was registered by Mark Zilis of Illinois in 2009. 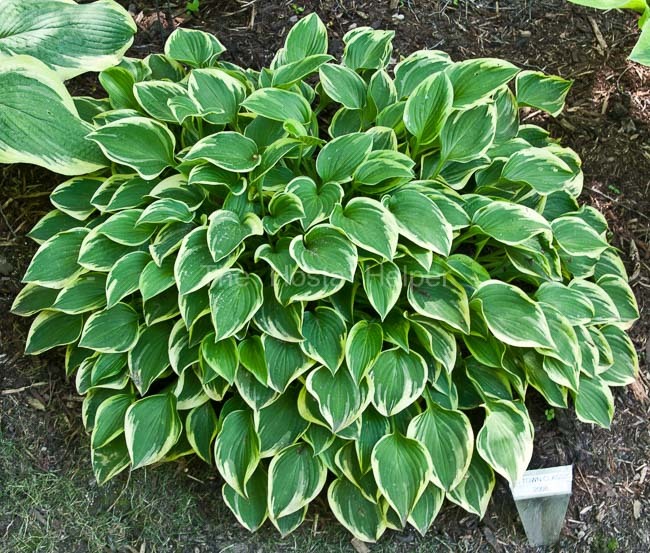 It was named by the Northern Illinois Hosta Society. 'Chi-town Classic' grows into a small size hosta about 11 inches tall by around 31 inches wide. The leaves are moderately wavy, narrowly ovate and dull on top. Its tubular shaped flowers bloom from June into July. According to The Hostapedia by Mark Zilis (2009), "...distributed to attendees of the 2008 Midwest Regional Hosta Society convention held near Chicago, IL."